I wanna say it is official but everyone says it's not until closing day, so I am not going to officially say it but we are making big plans. We are emptying the rooms, one by one, hauling stuff out to the garage for this amazing moving sale. I am overwhelmed with tears on most days from anxiety, and loss of my worldly treasures. We are getting rid of everything except those extra special, can't live without, items. Our therapist says take lots of pictures, so the photo journaling begins. If anyone has any good electronic journaling website - please pass them on to me. I would like something a little crafty looking, so I can write and photo too. We are at the same time excited to be researching new vehicles and campers. 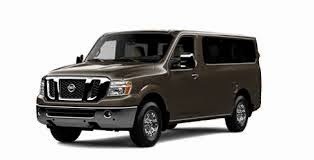 So far in the lead is a Nissan NV passenger van, and a quad bunkhouse straight trailer. 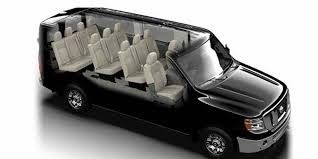 The van has 12 seats and can pull up to 9500 lbs, so I think we should be good to go. The campers we are looking at are all the same set up - just staying under the weight is the major factor. Right now the brands in the lead are the Wild-wood and Passport. 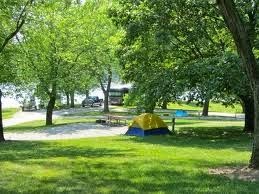 Also during this time, John got a volunteer position up at Coralville Lake (Corps Campground) - sugar bottom campground - as a maintenance guy. He gets to ride around on the gater fixing signs and picking up tree limb and debris. He is loving it. The only down side right now is that he is up there, putting in his 21 hours, and we are 1 1/2 hours south cleaning the house - I think he definitely is getting the better deal. We are hoping this will get our foot in the door, so we can get more volunteer jobs like this. We love it! Sugar bottom is perfect for an active family - it has a beach, several playgrounds, biking and hiking trails, and disk golf - what more could we ask for. Please send us lots of energy vibes and well wishes. We are ready to get this party started!